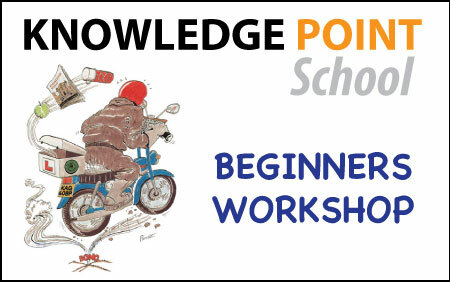 Our Teaching Workshops are open to everyone. Reqardless of what stage of the Knowledge you are on or the training material you have been using, there is a class designed to suit you. Our teaching staff are not only working taxi drivers but are also vocationally competent being qualified to teach to a PTTLS Grade 3/4 standard. 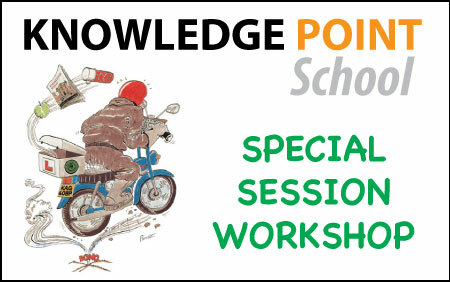 Knowledge Point Central School Workshops can be booked online in advance or paid for in the School Shop. A must for those who are struggling with appearances. Suitable for all stages. These classes are designed for those students about to start or who are making appearances. An essential for anyone studying or wants to freshen up on the 1st Set of Blue Book Runs. Complete at least 10 runs before attending. Suitable for students who want to revise Quarter Miles, Points, Turnarounds or any other restrictions. Attend all the workshop as many times as you like for 1 month for a one off fee of £50. Applies to both locations (KPC & KPW). Knowledge Point West School Workshops can be booked online in advance or paid for in the School Shop.